Is Facebook the New Model for Enterprise Mobility? Home Mobile Apps Is Facebook the New Model for Enterprise Mobility? If you’re an established Fortune 1000-type enterprise wondering how to mobilize your business, Facebook probably isn’t the first company you’d think to look to for a model. What can a newish, consumer-oriented social media company tell me about mobilizing my own business in manufacturing, or financial services, or healthcare? This lead can’t be chalked up solely to Facebook’s authentication service. When asked how they were managing user authentication inside their apps, most developers reported relying on traditional web protocols (38.7%) or specific methods such as SAML or OAuth (21%). Social media services such as Facebook were third at 19.1%. Facebook’s switch from HTML5 to native apps and their investment in mobile-friendly APIs such as Open Graph were ranked one and two respectively by developers when asked to judge the company’s smartest mobile bets. 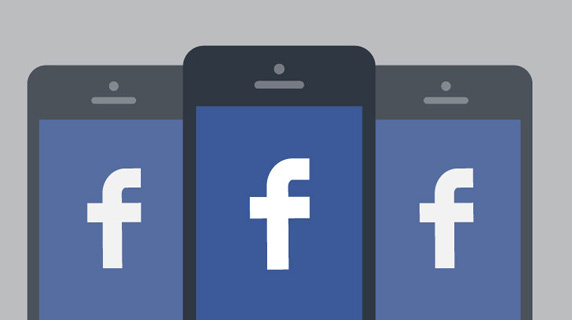 Taken together, Facebook’s mobile strategy has involved switching from HTML5 to native apps, embracing mobile APIs, and building up its mobile analytics muscle (via the Onavo acquisition). Given the response of both the stock market and developers, it seems Facebook may have hit upon the trifecta necessary for any enterprise looking to lead in mobile innovation. Slipping interest in HTML5: We’ve been tracking developer interest by mobile platform for better than three years now and have built up a nice body of historical trends. In this latest, there was little material change in developer interest among the mobile platform leaders. The iPhone (84.1%) and iPad (81.7%) still capture the most interest, with Android phones (79.3%) and Android tablets (66%) next in line. It’s worth noting that despite Microsoft’s Surface investment, as well as new devices from other hardware partners, developer interest in Windows remains flat (phones, 35.3%) or down (tablets, 33.4%). The largest change was in the number of developers reporting to be “very interested” in building apps on HTML5, which fell to 59.9% – the lowest level since we began tracking the specification in April 2011. Interest in HTML5 peaked in July 2012 at 72.7%, and has shown an uneven but downward slope since. This decline may be attributable to developer pragmatism. HTML5 has had several years now to break away from the pack and has failed to do so. The NSA revelations are impacting mobile dev behaviors: 64% of developers worldwide say they are re-thinking some key aspects of mobile app development. When taken by region, the number is notably higher in Latin America (70.7%), Africa (74.2%) and Asia (75.5%). The number of U.S. and European respondents planning change was significant if comparably smaller – roughly 60% in each region. Among the areas impacted, wariness of public cloud led the way in every region but Asia and Latin America, where data encryption was of equal or greater concern. Mobile is straining traditional three-tier (web) architectures: When asked directly whether existing web infrastructures met the demands of mobile, a full third of developers said “No.” The chief limitation reported is the bias of legacy web infrastructures for SOAP and XML data formats; mobile apps require a device-optimized format such as JSON. However, the lack of payload optimization and the inability to gracefully manage connection interruptions were virtually tied for second highest frustration (44.4% and 41%, respectively). When people talk about mobile ushering in a post-web world, this is what they mean. You can see the full survey report here.